Many people don’t pay much attention to where they store their beauty products, choosing to opt for the most convenient location around the house. 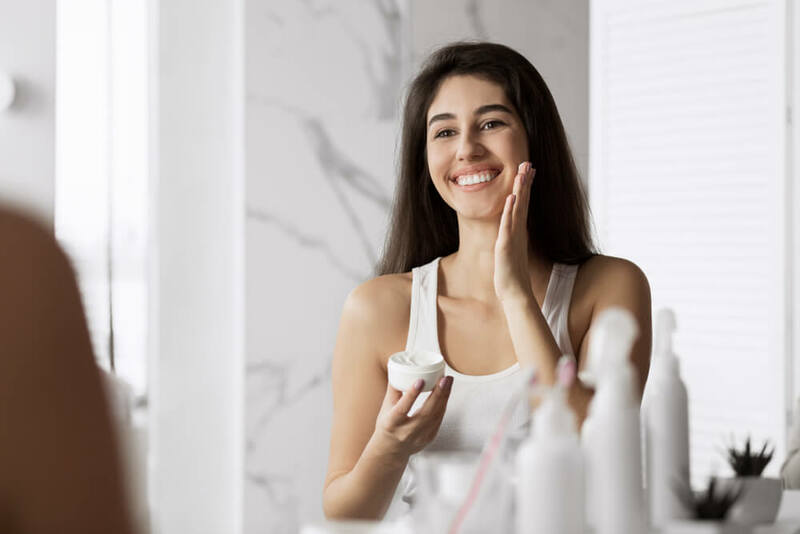 However, beauty products that aren’t stored properly become susceptible to everything from bacteria to fungus, while active ingredients can quickly degrade, resulting in them causing more harm than good when applied to your skin. Not only that, but improperly storing your beauty products will drastically shorten their shelf life. It goes without saying that these are all things you want to avoid, meaning that you need to know how to store your beauty products in the best way possible. Many active ingredients, especially antioxidants, actually break down when they come into contact with UV light. Not only does this mean that those ingredients will not be as effective, but they can actually end up having a negative impact on your skin. The way in which certain ingredients end up oxidized can lead to the formation of free radicals when they are applied to your skin. They are unstable molecules that can be caused by everything from pollution to UV rays, as well as by oxidized beauty ingredients. Free radicals cause some serious damage to the skin, with this becoming permanent over time. The only way to neutralize free radicals is with the use of antioxidants. Of course, if your antioxidants have oxidized due to light exposure, then you will only end up making things so much worse. If that wasn’t enough to convince you to keep your beauty products in the dark, then you should also know that sunlight can actually increase bacterial growth in a product. Bacteria is pretty much always going to be present in a beauty product, with this multiplying significantly if the product is something that your fingers come into direct contact with. Keeping a product in the dark helps to prevent this bacterial growth from occurring. If you use beauty products that contain a fragrance, light can affect this too. It basically alters the chemical profile of the fragrances within a product, causing those ingredients to break down. How do you know if a beauty product has been affected by light? Start by taking a look at its color. Certain ingredients, such as vitamin C, can change color in just a few hours once it has been oxidized. If your products look darker than usual, then the sun could be the cause of this. You can also give your beauty products a sniff. As mentioned above, sunlight breaks down fragrances, meaning that your products won’t smell quite as good as they did when you first opened them. If you are worried about UV contamination, look for product containers that feature a UV coating around the outside. This provides the formula within with some added protection. 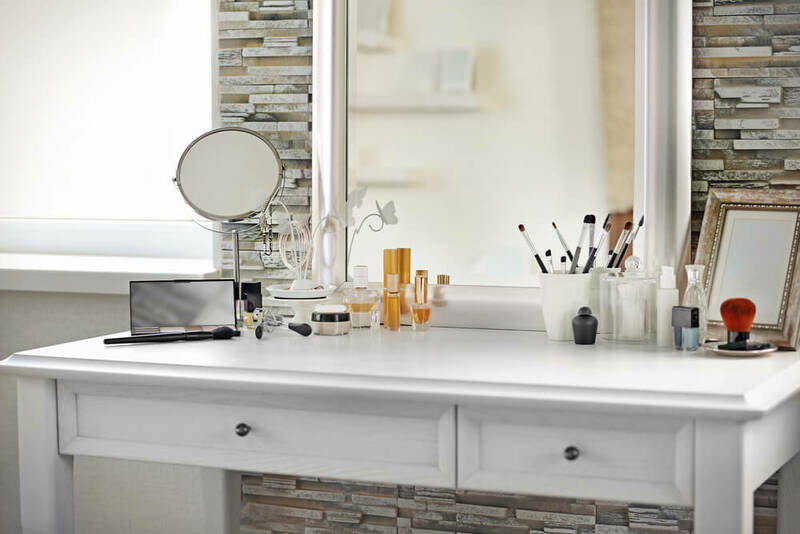 Many people store their beauty products in their bathroom. After all, this is where they get ready, so it only makes sense to keep beauty products here too, right? Bathrooms are quite steamy and humid places, meaning that it does not usually take long for water condensation to form around the room. Because this condensation will also form on the surface of beauty products. This added moisture, plus the heat from your bathroom, will cause bacteria and mold to grow in your products. How would this happen if my beauty products are sealed shut? Because many beauty products out there, from powders to shadows to scrubs, do not actually have a very strong seal. This makes it quite easy for moisture to enter into the product. A bathroom cabinet can sometimes suffice, so long as you are absolutely certain that the cabinet is free of moisture and humidity. Other than that, you would be best off keeping your beauty products in a drier room of your house. In the same way that moisture and sunlight leads to bacterial growth in beauty products, heat does the same. Warm temperatures quickly cause bacteria to multiply, which you definitely don’t want in your beauty products. What happens if you apply contaminated beauty products to your skin? You will only be transferring all of that bacteria from the product onto your skin. This can then lead to everything from blemishes to breakouts to dullness, all of which you should be trying to avoid. If you keep your products out in the open in your home, then chances are that they will end up too warm. Ideally, you want to store them in a cool, dry cupboard, but make sure that you check the temperature of this cupboard first. If you are having trouble finding a cool place to store your beauty products, you may want to consider your fridge. Didn’t know that you could store your beauty products in the fridge? You most definitely can, and this can actually increase the shelf life of a product quite significantly. Wondering if there’s anything that you shouldn’t be storing in the fridge? Yes, and this mainly applies to oil-based products, as these can often turn cloudy after they have been kept in the fridge. Because the cool temperatures cause the oil-based ingredients to separate from the water-based ingredients in the product, meaning that they both become pretty much worthless. If you have any products containing clay, then don’t store these in the fridge either. The cool temperatures will only harden the clay, making it so much harder to actually use the product. All fridges are not made equally. You need to be sure that you don’t have any cooler spots in your fridge, as subjecting your beauty products to extremely cold temperatures will only render them useless. You may not notice that a product has partially frozen and then thawed out, but this will cause the ingredients within to become unstable. You may also want to keep them in a separate section from your food, in order to prevent any food smells from contaminating your products. If you are worried, try storing your beauty products in a sealed bag before placing this bag into the fridge. Alternatively, you could go all out and invest in a dedicated cosmetics fridge. Wondering how these differ from a standard fridge? They tend to be smaller, which means that they are usually better than a larger fridge at maintaining a consistent temperature all the way through. They also often feature technology that enables them to keep bacteria and fungus at bay for longer. When it comes to your beauty tools, from your makeup brushes to your makeup sponges, the location that you choose to store them does not matter quite as much. 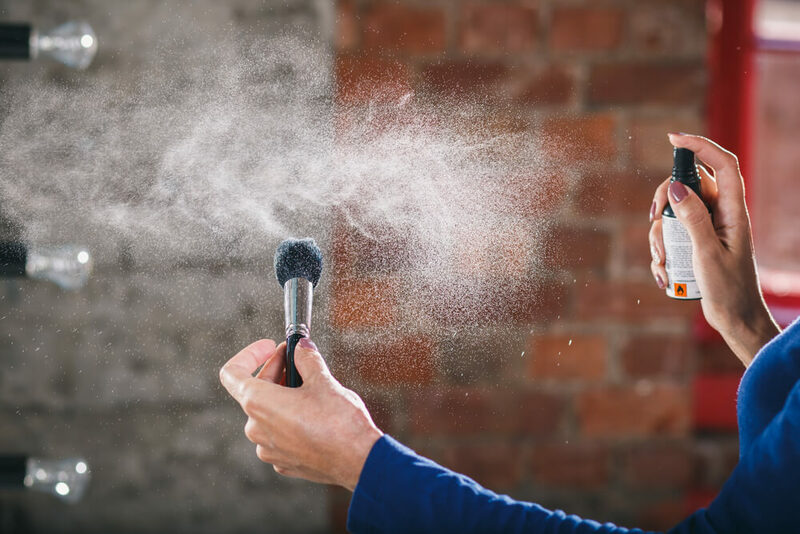 If your beauty tools are still wet or damp, then you need to make sure that they have been air dried in a cool and dry place, before you move them into a warm or humid environment. Because otherwise the water on your tools will end up triggering the growth of bacteria. This bacteria will quickly grow on your tools, and will end up on your skin the next time you use those tools. It is so important to keep your makeup tools clean, preferably giving them a quick clean after each use. Then, once a month or so, give them a deeper clean with a dedicated brush cleanser, ensuring that any makeup residue, bacteria and toxins are washed away. In addition to keeping your makeup tools clean, you should also ensure that any caps or lids to your other beauty products are also dirt-free. It can be easy for them to pick up bacteria, even from just being dropped on the floor for a few seconds. If this happens, make sure that you immediately rinse them and allow them to fully dry before putting them back onto your product. Even though you may take great care to ensure that your beauty products are stored in the best way possible, they do still all have a shelf life. This is something that many people don’t tend to think about, especially since many beauty products still look fine even after they have expired. In fact, research shows that around 70% of women regularly use an expired beauty product. 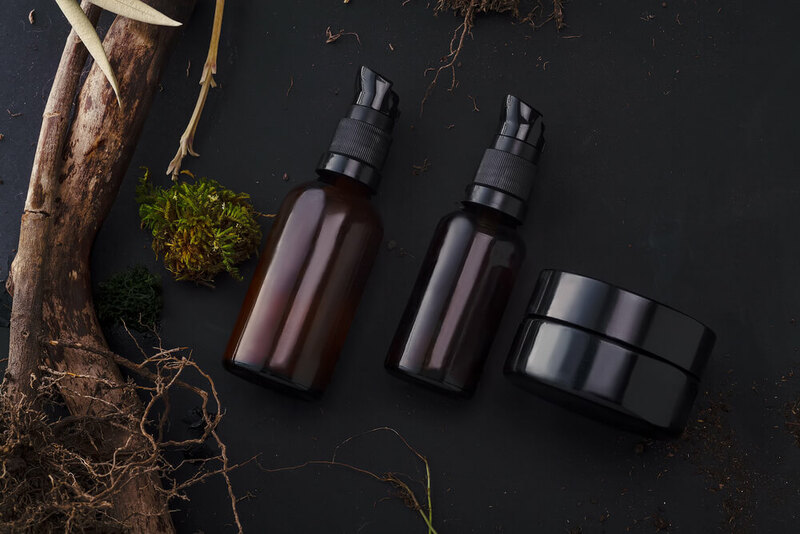 However, the naked eye cannot see the individual ingredients within a product, meaning that you will not be able to tell when certain ingredients have been broken down or oxidized. This is why it is important to stick to the recommended guidelines when it comes to the shelf life of beauty products. How do you know what the shelf life of a beauty product is? Some products will state an expiration date, although this can be rare due to a lack of regulations. Companies in the USA don’t need to legally print an expiration date on cosmetic products, with only drugs requiring this. If you can’t find an expiration date, look for a PAO symbol on a product. This usually looks like a number next to the letter M, along with a symbol of an opened jar. What does the PAO symbol mean? It refers to “period after opening”, meaning how long the product will stay fresh for after it has been opened. 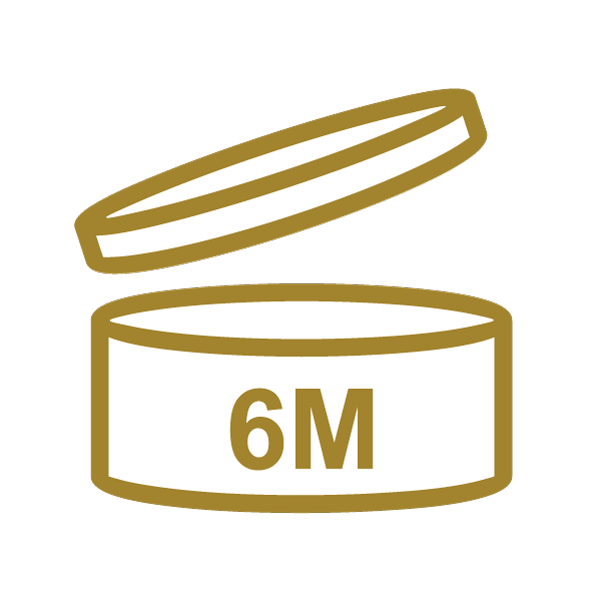 For example, 6M would mean six months, whereas 12M would mean a year. The PAO symbol is often printed on the box of a product, so you may need to write this down somewhere if you usually throw out your boxes after opening a product. Can’t seem to find any of that information? As mentioned earlier, you can sometimes tell when your beauty products have gone off. However, if you are ever in any doubt, it is always better to be safe than sorry. Storing your beauty products correctly will not only ensure that they work properly when you use them, but will also help to extend their shelf life, meaning that you will get so much more out of them. While you may need to do some rearranging around your house to ensure that each one of your beauty products is in the right place, this will definitely be worthwhile when you see how much longer they end up lasting you for!